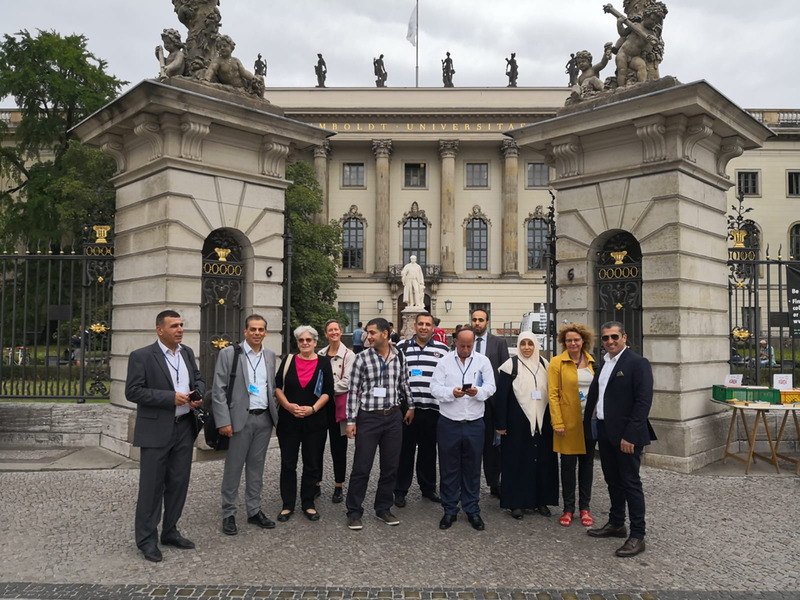 IUG, represented by Dr. Manouar Najm, assistant teacher of Foundations of Education department, and Mr. Bahaa Eddin Sarhan, coordinator at the Center of Assistive Technologies, participated in the international training week for the international mobility, which was held at the University of Humboldt in Germany from Monday 27/8 until Friday 31/8, and funded by Erasmus Plus through the international credit mobility programs. In the presence of a number of specialists from the Humboldt University in Germany, led by Prof. Claudia Baker Professor of signal and acoustics origins of the language, and Professor Vera Musr- professor of education in the weakness of learning and rehabilitation, in addition to the staff of external relations of the Humboldt University, and attended by a number of representatives of Palestinian universities In the West Bank. The training week topics focused on the promotion of deaf education and special education, with emphasis on methods of teaching the deaf and sign language. In addition to the most important skills and expertise that should be available in sign language for the deaf teacher. Whereas, the 3rd activity included several visits to different schools for deaf education in Berlin. It is worth mentioning that it is expected to agree on strengthening relations between all partners involved in the activity through the developing of a project proposal in strengthening the capacity of private education and deaf education. The 10-members team was supposed to travel to the Humboldt University in Germany, but only two of them were able to attend the event, while the remaining 8 members participated in the training through video conferencing with Humboldt University.